Golden Herman Tate III, an American football wide receiver for the Philadelphia Eagles of the National Football League (NFL). 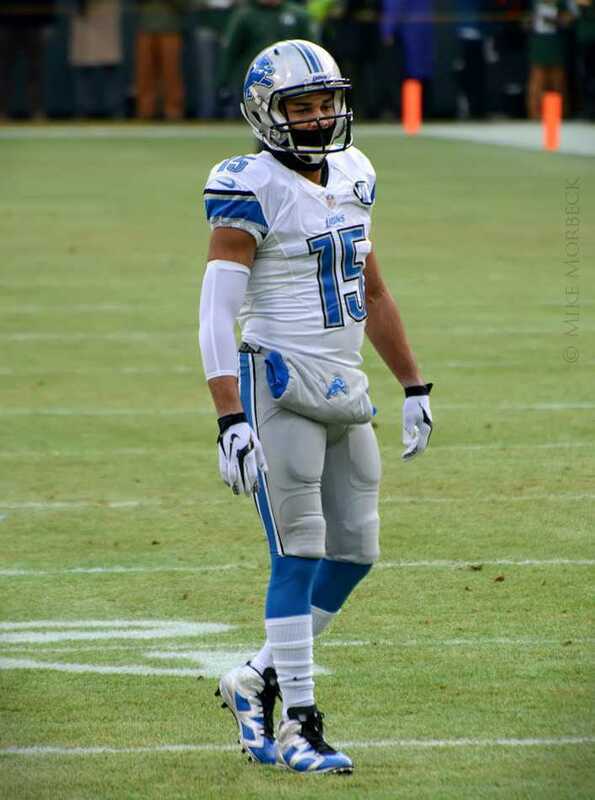 He is professionally known as Golden Tate. He was recognized as an All-American while he played college football at Notre Dame. In the 2009 season, Tate won the Biletnikoff Award. He was also recognized as a unanimous first-team All-American. He was ranked 85th by his fellow players on the NFL Top 100 Players of 2015. On January 19, 2015, he was selected to the 2015 Pro Bowl, his first Pro Bowl appearance. Philadelphia Eagles have planned to keep Golden Tate beyond the 2018 year. 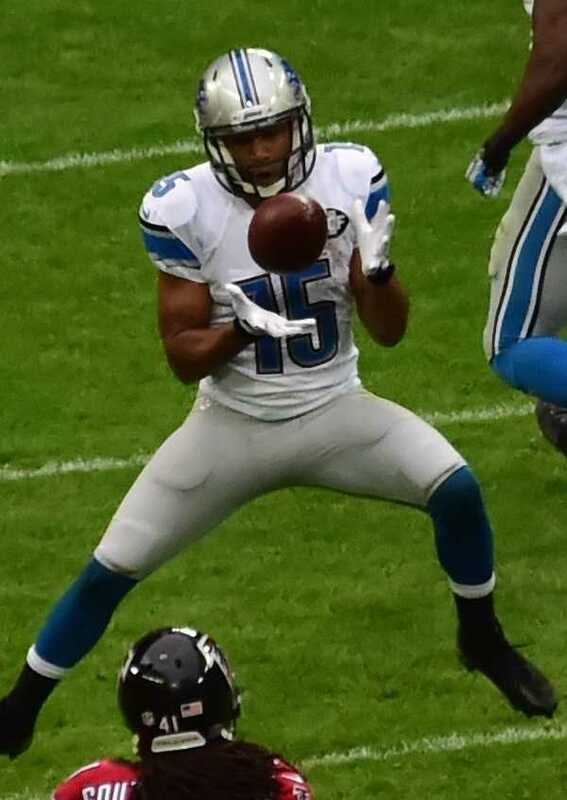 Golden Tate’s birth name is Golden Herman Tate III. He was born on 2 August 1988 at Hendersonville, Tennessee. 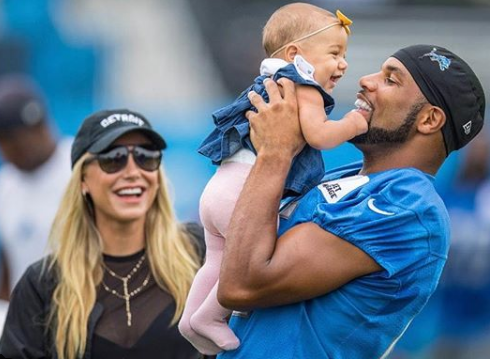 He was born to Golden Tate II and Yolanda Tate. His father also played college football in his career. He has a brother named Wesley Tate who plays for Vanderbilt University as a running back. His younger twin sisters Breanna and Deanna Tate are both sprinters at The University of Mississippi. He belongs to American nationality. He attended Pope John Paul II High School, where he played football, baseball, and ran track. He was named as a Tennessee Division II first-team all-state pick in 2006 as an athlete by the Tennessee Sports Writers Association and also by the Tennessee Football Coaches Association. Tate’s height is 1.78 m and weight is 89 kg. Other information is not provided about his body measurements. Overall, he has the balanced and fine body physique. In the 42nd round of the 2007 amateur draft, he was drafted out of high school by Arizona Diamondbacks. But he did not sign with them and instead played for the University of Notre Dame. He finished his sophomore season with a .329 batting average after playing in 55 games. He also scored 45 runs his sophomore year which is the third highest by any Notre Dame Baseball player. On June 9, 2010, he was drafted by the San Francisco Giants in the 50th round of the 2010 MLB Draft but did not sign. In 2007, as a freshman, he completed the season with six catches for 131 yards and one touchdown and averaged 21.7 yards on 15 kickoff returns for the season. In 2008, as a sophomore, he finished the season with 58 catches for 1,080 yards with 10 touchdowns. In 2009, he finished the season with 93 receptions for 1,496 receiving yards and 15 touchdowns. On 7 December 2009, he announced that he would forgo his senior year and declared his ability for the 2010 NFL Draft. On 23 April 2010, he was drafted by Seattle Seahawks in second rounds of 2010 NFL Draft. He also signed the four-year deal on 28 July. In 2010, he completed the rookie season with 21 passes for 227 receiving yards. In 2011, he finished the season with 35 catches for 382 receiving yards and three touchdowns. In 2012, he made 45 receptions for 688 receiving yards and seven touchdowns. In 2013, he gave the best game of the year. He also won the Super Bowl XLVII. On 12 March 2014, he signed a five-year, $31 million contract with the Detroit Lions. He set a career-high in receptions with 99, sixth highest in the NFL, and receiving yards with 1,331, seventh highest in the NFL. In 2015, he finished the season with 90 receptions for 813 yards and six touchdowns. In 2016, he completed the season with 91 receptions for 1,077 yards and four touchdowns. He was also ranked highest among NFL wide receivers that season. In 2017, he ended the season with 92 receptions for 1,003 yards and five touchdowns. In 2018, he made a good start with 7 receptions for 79 yards and 1 touchdown. Later he made 8 receptions for 132 receiving yards and 2 receiving touchdowns. On 30 October 2018, he was traded to the Philadelphia Eagles in exchange for a third-round selection in the 2019 NFL Draft. Tate is a married man. He is married to Elise Pollard who is an account executive and director of business development. The got engaged on 12 September 2015 and married in 2017. On 18 January 2018, they welcomed their first child and named her Londyn Marie Tate. Tate career earning is of $33.98 M by Philadelphia Eagles which ranks 32 among active NFL players in 2018. He played two years of baseball at Notre Dame. He was named an All-American in 2009 while playing for the University of Notre Dame.